It had become inextricable, two entire rooms bursting with photographs… I was afraid of being robbed, afraid the collection would be dispersed after my death. It needed to remain together, everything as of 1902. In 1979, Jacques Henri Lartigue donated his entire photography collection to the French nation and entrusted it to the «Association des Amis de Jacques Henri Lartigue», known as «Donation Jacques Henri Lartigue», in order that they preserve, enhance and promote his work. • 126 albums (format 52 x 36 cm/20 x 14 ins.) containing the original prints with captions, as made or collected by Jacques Henri Lartigue. They also include prints by other photographers whose work he particularly appreciated. The albums form a chronological sequence, starting in 1880 (with his family’s album) and ending with his death in 1986. • His typed and handwritten diary (kept from 1911 to 1986), which brings together his memories and inner thoughts, sizable excerpts of which were published in three volumes, currently out of print. (see bibliography). • 29 paintings are stored in the “Centre d’Art Jacques Henri Lartigue” on the l’Isle-Adam (95). Jacques and Florette, friends with the mayor at the time, Michel Poniatowski, donated more than 300 paintings to the city between 1985 and 1993. 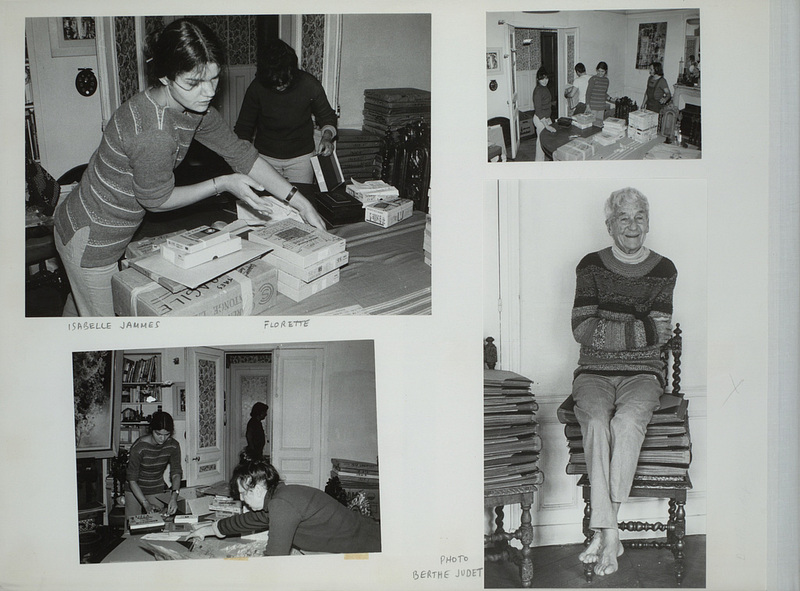 Florette Lartigue, who passed away in 2000, bequeathed her personal property to the Fondation de France in order for it to be used for projects dedicated to Jacques Henri Lartigue, including exhibitions, conferences or films.